Home / Fairmont Makati / Holiday Inn & Suites / InterContinental Manila / Makati / makati city / Make it Happen / Make It Makati / MasterCard / philippines / Raffles / Staycation makati Staycation / Tessa Prieto-Valdes / vacation / Why Spend a Staycation in Makati? Why Spend a Staycation in Makati? That was the question asked to us by Makati Staycation ambassador Tessa Prieto-Valdes on the launch of the latest campaign that will attract more locals to see and experience one of the prime cities in the Philippines, Makati City. Supporting its uberly successful "Make it Happen, Make It Makati" campaign, Makati Staycation is said to offer special discounts and perks to guests who will use their MasterCard. 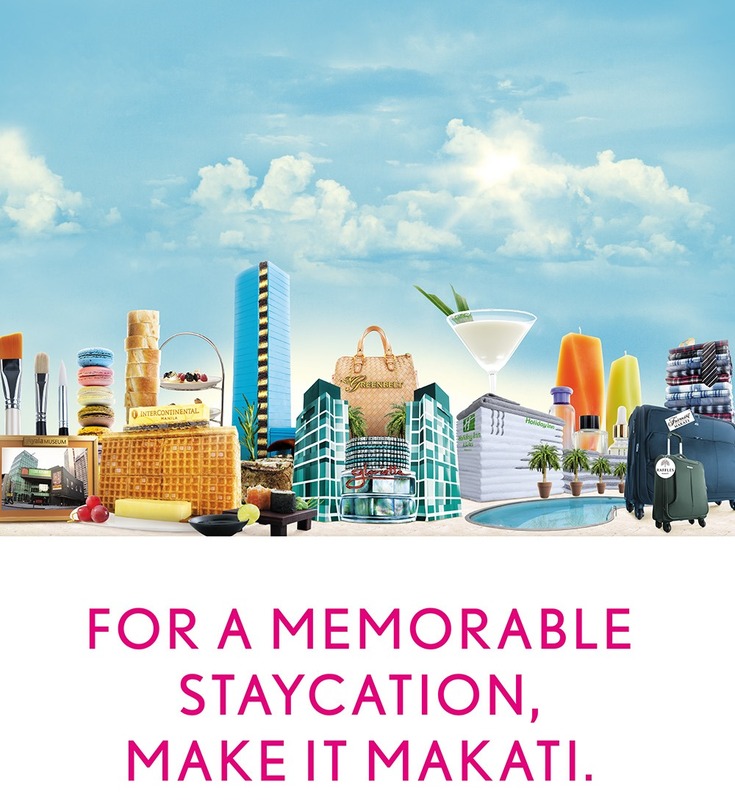 An exclusive campaign that allows families and friends to have an ultimate staycation in the city and make memorable experiences happen, Makati Staycation is participated by four iconic global hotel brands located within Ayala Center: InterContinental Manila, Holiday Inn & Suites, Raffles, and Fairmont Makati. From August 27 to December 31, MasterCard credit, debit, or prepaid cards users can take advantage of these accommodation packages that all come with sumptuous buffet breakfast for two. Like in InterContinental Manila and Holiday Inn & Suites Makati, for a minimum of two nights’ stay, you can satisfy your taste palates in InterContinental Manila and Holiday Inn & Suites Makati with Php2,000.00 and Php1,500.00 worth of dining credits respectively, which you can use in any of the hotels’ outlets. A 25% discount on food and drinks will be also be given at Prince Albert, Gambrinus, and Sol Y Sombra, as well as at the Citron Oz Bar in Holiday Inn. In Fairmont and Raffles Makati, guests can avail of the complimentary afternoon tea for two at the Writers’ Bar in addition to the 25% discount in Spectrum, Cafe Macaron, and Fairmont Lounge. Aside from that, a 25% discount at the hotels’ spa services is also waiting for the staycationing guests. And by just adding Php1,000.00, an option of a 60-minute massage or the Makati City tour called Soul of a City Tour can be avail from these hotels to make your staycation in Makati more meaningful. For walk-in guests who wish to dine at any of the hotels without booking a room, Makati Staycation organizers added that it is best to come in groups of four so you can enjoy the 4 + 1 free promo. Sounds tempting, right? Well, all you need to do to experience this amazing treats from Makati City is log on to www.makeitmakati.com, click on the Makati Staycation icon at the homepage, choose a hotel, and register. Representatives from each hotel will then contact and assist you in completing your reservation. Be sure to reserve from August 27 to December 31 before rooms are fully booked. 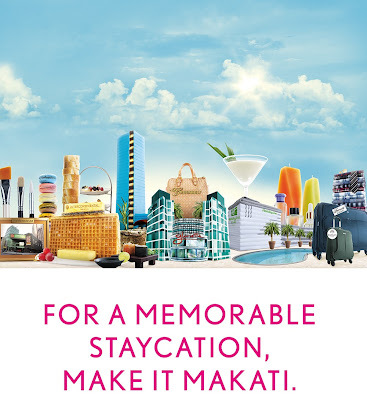 Also, watch out for the upcoming "Make It Memorable" online raffle promo at www.facebook.com/makeitmakati to get a chance to win free some sweet staycation vouchers. So, if you have money but don't wanna spend extra time on driving or maybe scared of riding a boat or a plane, here's a chance for you to relax, unwind, pamper yourself, and make memorable experiences out of the city that you love the most. Makati City, the city for business, lifestyle, entertainment, and culture is now ready to share to you a vacation worth enjoying to the fullest! Why spend a staycation in Makati? Well, why go anywhere else? Happy Makati Staycation! Weekend, here we come!